A lunar eclipse occurs when the Moon passes behind the Earth and the Earth blocks the Sun from the Moon so there is no light hitting the Moon at all. This can only happen when all three bodies are perfectly aligned in a straight line with the Earth in the middle and a full moon. There are two types of lunar eclipse, a complete lunar eclipse and a partial or penumbral eclipse. During the complete lunar eclipse the Moon receives no light whatsoever because the light is blocked out completely by the Earth and during the penumbral eclipse the Moon only partially enters the Earth’s shadow to some light escapes through. Here are some more facts about lunar eclipses. There are about two lunar eclipses each year – there can never be more than three lunar eclipses in a year. A lunar eclipse usually lasts for a few hours whereas a solar eclipse typically only lasts for a few minutes. A lunar eclipse can be viewed from anywhere on the night side of the Earth. 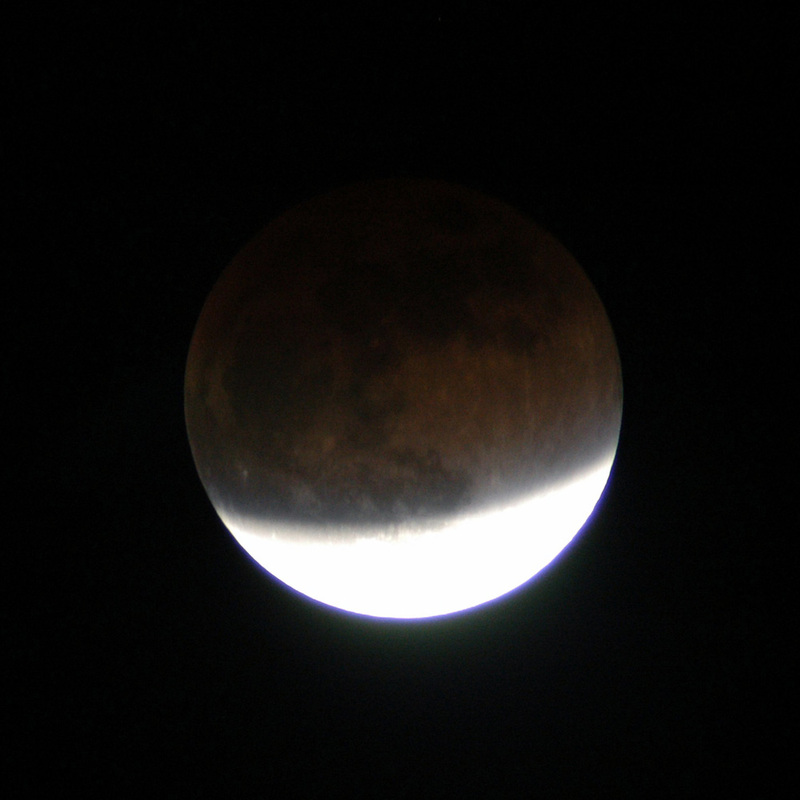 A partial lunar eclipse occurs when a portion of the Moon passes through the Earth’s umbral shadow. These are easy to spot with the naked eye as there is a very definite change in light being blocked. A penumbral lunar eclipse is more difficult to observe. This eclipse happens when the Moon passes through the Earth’s penumbral shadow. This causes a slight dimming of the Moon’s light but it does not go completely dark because the penumbral shadow is not dark enough to block out the light from the Sun. 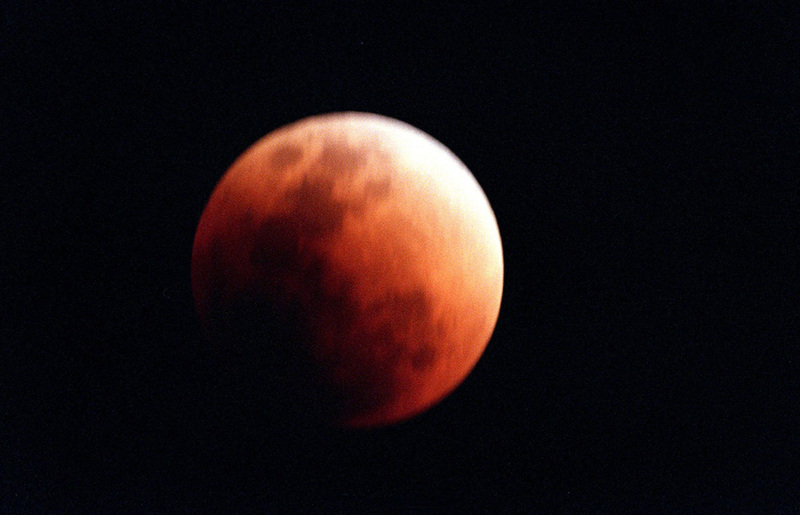 During a total lunar eclipse the whole of the Moon passes through the Earth’s umbral shadow. This is very easy to see with the naked eye and the colour of the Moon can even change to a dull copper colour due to light reflected from the Earth. A selenelion or selenehelion eclipse occurs when both the Sun and the eclipsed Moon can be seen at the same time. This is sometimes known as a horizontal eclipse because both bodies will appear just above the horizon at nearly opposite points in the sky. This type of eclipse can only occur just before sunset or just after sunrise. Lunar and solar eclipses are closely related to each other – when there is a solar eclipse, a lunar eclipse will have occurred 2 weeks beforehand, or it will occur two weeks afterwards.